No one can argue the importance of an x-ray for a potential broken bone, but what about an x-ray for your mouth? Why do you go to the dentist and wear that odd looking, ungodly heavy vest and slobber all over a plastic bite plate? Is my tooth broken? What are they looking for in there? And is this all safe? The fact of the matter is, dental x-rays are incredibly important. Their job? To diagnose or take a peek at what really is going on in your mouth. 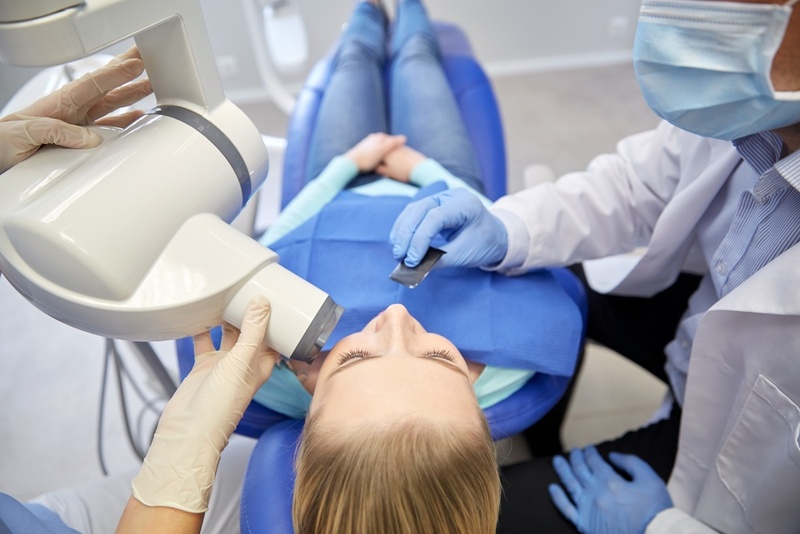 You’re probably wondering why an x-ray is necessary if you have impeccable dental health, or if you have a dentist that is fully capable of looking in there themselves. Read on to find out why you and your family need dental x-rays. X-rays, or radiographs, allow your dentist to see things in your mouth on a deeper level. With the goal of providing the best possible care to patients, dentists know that just a visual examination won’t cut it. Dental x-rays are a great diagnostic tool that can help your dentist see any damage or disease that isn’t visible to the naked eye. With x-rays, dentists can accurately diagnose and treat dental problems and be proactive rather than reactive to issues in the mouth. Dentists are not only able to see the visible part of the tooth in an x-ray, but everything from the tip of the roots to the bones underneath your gums. These x-rays aid your dentist in being able to diagnose things that are specific or isolated symptoms you might be facing. Conditions that dentists can screen for via an x-ray range from a simple cavity and the amount of decay to gum disease, bone loss, cysts, abscesses and other masses that can be caught early. Dentists are also able to identify how many wisdom teeth are present as well as missing or impacted teeth, meaning faster, more efficient care for you. How Does a Dental X-ray Work? During a routine visit to your dentist, you will typically have x-rays done. These x-rays normally consist of two to four bitewing x-rays that can show your dentist more about the crown portions of your teeth and check for signs of decay. These x-rays are taken with a bite plate in between your teeth and the x-ray machine placed on either side of your face. Panoramic x-rays are taken from the outside of your mouth and give your dentist an image of the entire oral cavity in one big photo. During a panoramic x-ray, the x-ray machine will move around the circumference of your head to get a full picture. This x-ray shows all of your teeth including the jaw bones and sinus areas and can be a great way to detect jaw disorders and any irregularities that you may have. X-rays are safe, but emit low levels of radiation. To eliminate the risk, dentists use a leaded apron to cover your body and if necessary, a leaded thyroid collar. These precautions are taken to mitigate risks and allow the lowest amount of radiation possible. Both types of x-ray are quick and painless and require no more than a few minutes of your time. The benefits, however, can last a lifetime. How Often Should I Get an X-ray? While this may vary depending on the person, the bare minimum you should get an x-ray is at your annual or bi-annual dental appointment and cleaning. Children often require more X-rays than adults due to the unpredictable and vulnerable nature of their teeth. New patients typically require more than the normal amount of x-rays to ensure their mouth health is optimal and determine the overall condition of their mouth as a baseline. 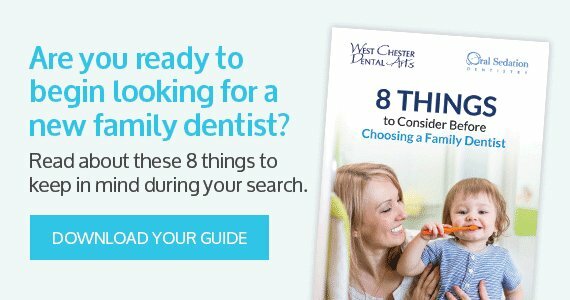 If you haven’t had an x-ray in a while and are looking to have this preventative measure to make sure you are in optimal dental health, schedule an appointment today with West Chester Dental Arts. We’re happy to take care of you and look forward to meeting you!